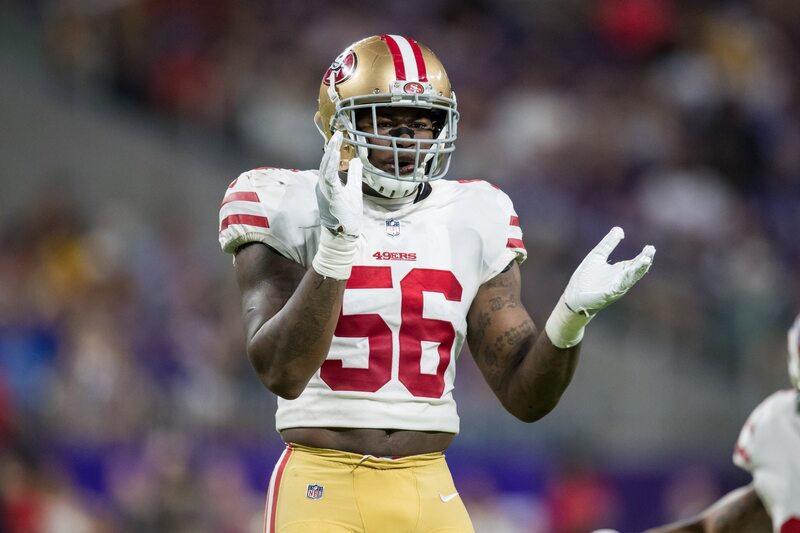 San Francisco 49ers linebacker Reuben Foster has been arrested in Florida and was charged with domestic-violence battery on Saturday night. Eric Branch of the San Francisco Chronicle provided the details of this disturbing arrest. This is just the latest in a string of off-field incidents that have plagued the young linebacker this past year. He was previously cleared of domestic violence charges when his ex-girlfriend Elissa Ennis took the stand and said she had lied about Foster beating her up on Feb. 11. Foster has also been arrested this past calendar year on marijuana charges. He was suspended by the league for two games to open the season, and the organization has made it clear that he’s one big strike away from being released.